Gary is a freelance guitarist and music instructor in the Milwaukee area. 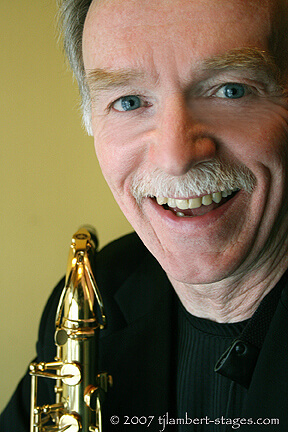 He studied at the David Hochstein Memorial Music School in Rochester, NY, and was a Jazz Performance major in the Bachelor of Music program at the Wisconsin Conservatory of Music in the 1970s. He has been an instructor in the Music Occupations program at Milwaukee Area Technical College since 1988 and maintains a private music studio as well. Gary has also worked for Hal Leonard Publishing Company. Gary's thousands of musical performances include combo and big band jazz, Broadway touring productions, and 20th century classical and pops concerts with the Milwaukee Symphony Orchestra. He has been featured with artists that include Lukas Foss, Doc Severinsen, Joel Grey, Theodore Bikel, Alan Thicke, Sally Struthers, Mickey Rooney, Lainie Kazan, Engelbert Humperdinck and Al Martino, among others. He is also featured on the album “Let Me Be Frank” which includes his composition “Kiara’s Song” and is available online. Deanne Carloni grew up in a very musical family. She began playing the violin in third grade and since then her love of music has never stopped growing. 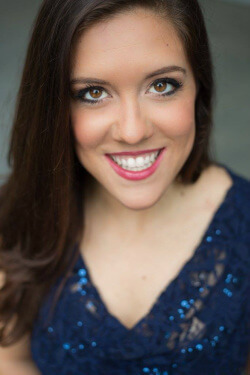 Deanne Carloni graduated from UW-Whitewater with a Bachelor's Degree in Music Education, a General Music Certificate, and a Minor in Spanish. While at UW-Whitewater she was a recipient of the ASTA Student Exemplary Service Award and the Richard Gaarder Award. During her time at UW-Whitewater, Carloni served as the President of the UW-Whitewater Student ASTA Chapter, taught lessons as a part of the after school strings program, and served as String Camp Head Counselor for two summers. Deanne Carloni currently is a member of the Wisconsin American String Teacher's Association Executive Board, serving as the Membership Coordinator. She is also a member of NAFME and has attended the Wisconsin State Music Association Conference for many years. She has taught summer Orchestra lessons and taught at the Orchestra Jumpstart Camp for young musicians in Mukwonago, she has taught K-8th grade General Music in Milwaukee, and is currently teaching middle and elementary school Orchestra (violin, viola, cello, and bass) in the Oshkosh Area School District. In Oshkosh, she has also taught summer orchestra lessons, and she started the Orchestra Jumpstart Camp for students entering 6th grade. Deanne Carloni has been very active performing in the community through being a member of the Lake Geneva Symphony Orchestra, Concord Chamber Orchestra, Oshkosh Symphony Orchestra. She has also been a coach for the Oshkosh Youth Symphony Orchestra, and she has played in PIT Orchestras for musicals such as Singin' in the Rain, Beauty and the Beast, Les Miserables, Ragtime, Shrek the Musical, Cinderella, and Into the Woods. Deanne Carloni is always seeking to learn more and challenge herself to be a better musician and teacher so that she can pass on her knowledge to her students. This is evident through her involvement in the Christian Howes’ Creative Strings Workshop last summer, where she attended a week long camp with an extensive emphasis on improvisation, composition, and learning music by ear in the fiddle, jazz, and rock styles. She is passionate about alternative styles and learning music from around the world. One of her favorite experiences was getting to work with internationally known fiddlers Liz Carroll and Kiana June Weber, as well as taking a composition workshop with Andy Reiner. When she is not teaching, she loves to play traditional Irish fiddle music, read, watch superhero movies, cheer for the Milwaukee Bucks, and she is a competitive ballroom dancer. Dale started teaching trumpet in the summer of 2002. He also coaches on the cornet, flugelhorn and the piccolo trumpet. Classical, jazz, and Latin are his game in the classroom, however when playing out, salsa, polka, and Broadway come into play. Dale is a professional performer who teaches not just music, but performance attitude and maturity. Will is an active performer and collaborator in the Milwaukee music scene. He graduated from the University of Wisconsin-Milwaukee in 2016 with a BFA in music performance, concentrating on the trombone. 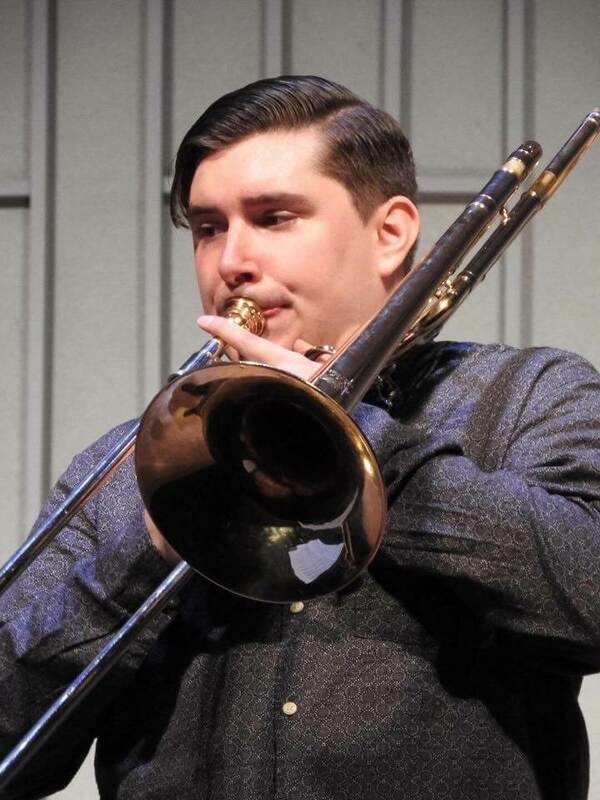 As an avid chamber and ensemble musician, Will spent much of his education playing in trombone quartets and brass quintets alongside concert band, jazz ensemble, and orchestra. Since graduation, he has shared the stage with the Sheboygan Symphony Orchestra, Southport Sound (Kenosha, WI), and Milwaukee Festival Brass. These days one can regularly find Will in the low brass section of the Milwaukee Philharmonic, in new and improvised music settings both live and recorded, and paying tribute to the timeless Louisiana sound in Big Style Brass Band. Andrew began his teaching career at Brass Bell in 1999. He has a BA in Music from UW-Milwaukee. He can teach a wide variety of genres including classical, pop, rock, blues, jazz, improvisation and accompaniment. He will teach students to play by ear, but only after the student has some knowledge of chord structure and progressions. He is patient and adapts his approach to meet each student's needs. Andrew has a goal-oriented teaching style by holding student recitals and helping his students enter music competitions and festivals, such as the National Federation of Music Club. He also stays active in professional music organizations such as MAPTA and MTNA. Oh yes, and Andrew rides a motorcycle to lessons. 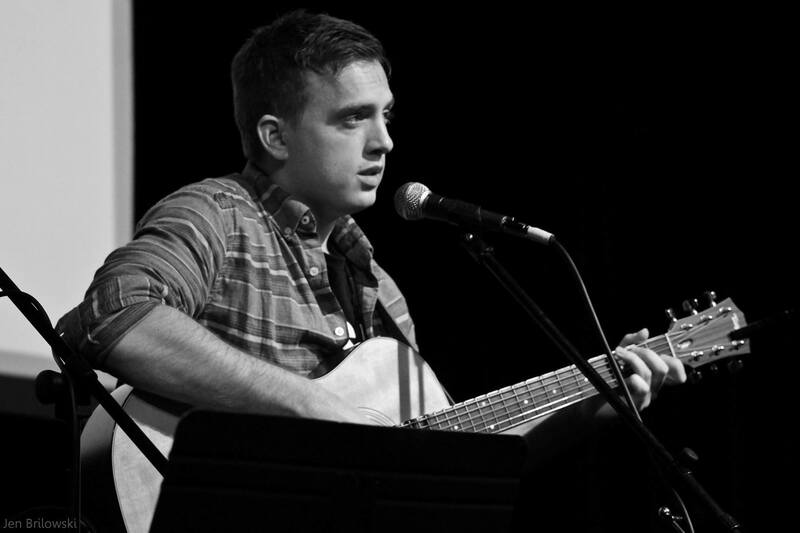 Michael is a student at UW-Milwaukee pursuing a Bachelor in Fine Arts of Performance in Finger-Style Guitar. He has been performing since fifth grade and has played the guitar for nine years. He looks forward to working with those who are interested in pursuing excellence in music and can't wait to spread the knowledge of such a fine instrument. Larry has more than 20 years of experience teaching and playing guitar. 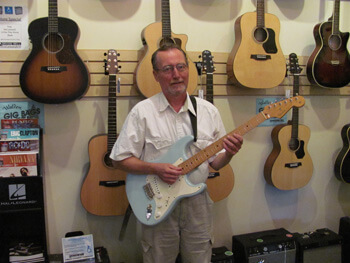 Larry has his dream job working at Brass Bell and teaching his passion for guitar to his students. Whether it's learning about different styles of music or the various ways to play the guitar, Larry wants his students to be well-rounded musicians who will want to play for a lifetime. When teaching students how to practice, Larry incorporates computer learning programs that can accelerate and enhance the process of playing the guitar. Larry has performed in many types of bands since the 1960s, including years of road, studio and club work. His approach to teaching is to find what style of music the student can be passionate about and build from there. Lena is a guitar instructor here at BB, hailing all the way from Ukraine. She's been a teacher since 1990, instructing students on classical, electric, and bass. She teaches a wide variety of styles, including classical and fingerstyle. Lena holds a Master's degree in Secondary Education with a Teaching Major in Music. For more information about Lena, please check out her website. Leo is a guitar teacher originally from Rochester, NY. For the past 10 years he has shared his passion for music with students of all ages, interests, and abilities in lesson studios and colleges in New York, Ohio, and Wisconsin. 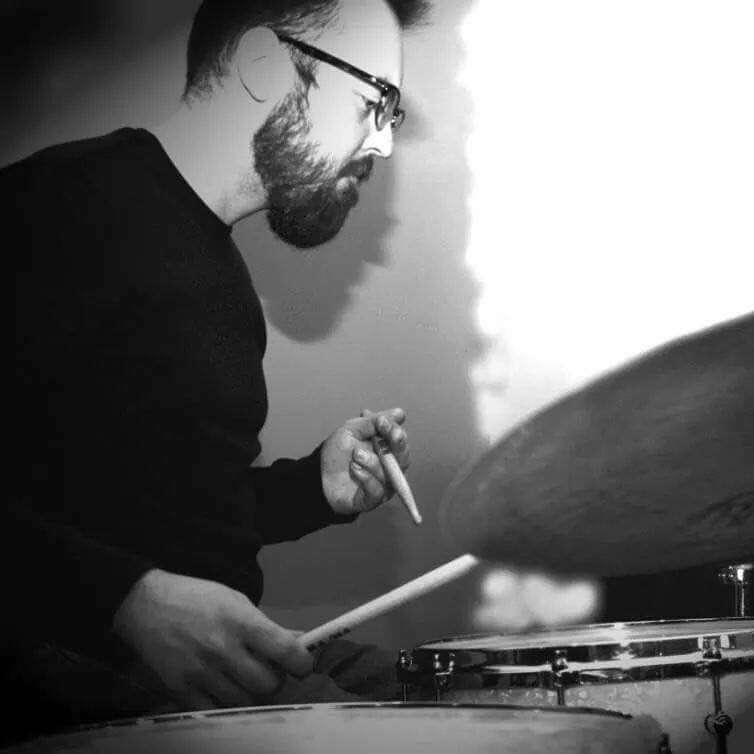 He earned his Masters in Music Education at Capital University in Columbus, OH, following his Bachelors in Jazz Studies at SUNY New Paltz in the Hudson Valley. Leo is currently recording an album of his original singer-songwriter material. 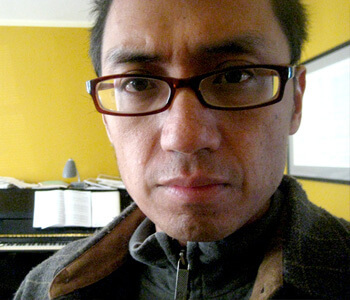 As a performer, Leo has been an active musician for the past twenty years. He has extensive experience performing in blues/rock/jam bands, big band jazz ensembles, and as a singersongwriter. As a teacher, Leo likes to find common ground with his students while keeping his lessons engaging, playful, and meaningful. Dan holds a BS from UW-Milwaukee and has 15 years of full-time teaching experience. He teaches 30+ students each year, totaling over 20,000 lessons since 1996. Dan instructs students on drum set, snare drum, parade drums and mallets. He teaches students as young as age 5 or 6 with a parent present, otherwise ages 7 and up. He describes himself as being a relaxed teacher who emphasizes reading to develop skills in listening, coordination and performance. In addition to teaching, Dan has more than 32 years of playing experience, including performances, tours and recordings. Tim Dries is available for private percussion lessons at Brass Bell. He graduated from Northern Michigan University in 2009 with a Bachelor’s degree in music education. Tim has performed with groups including Marquette Symphony Orchestra in Marquette, Michigan, as well as The Knightwind Ensemble in Milwaukee, Wisconsin. 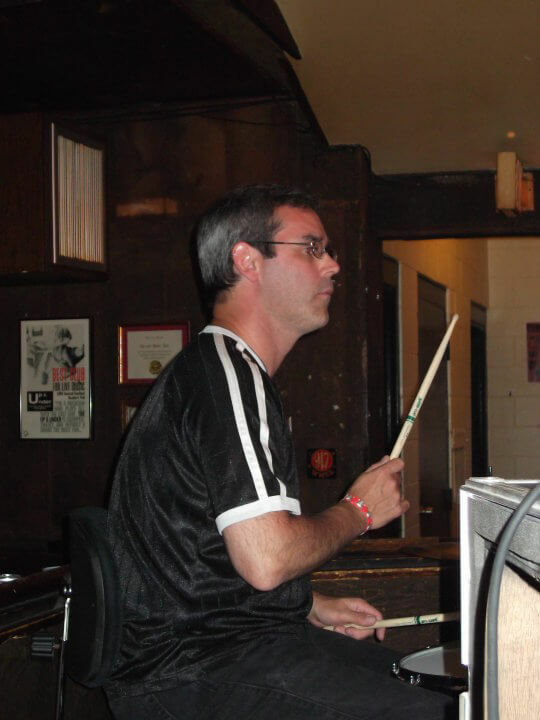 Tim enjoys playing drums with The Lakeshore Four, a Milwaukee based jazz ensemble. Aside from teaching at Brass Bell, Tim is also the Band Director at Dominican High School in Whitefish Bay. Paul Westfahl is an active performer and educator in Southeast Wisconsin. 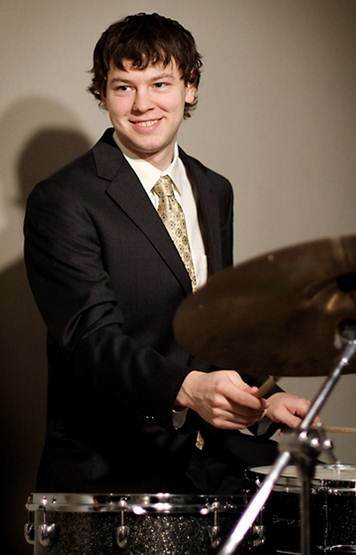 He earned his BA in Music from the University of Wisconsin-Parkside in 2012 with an emphasis in Percussion Performance, Composition and Jazz Studies. Paul has been seen performing with the MIlwaukee Symphony Orchestra, the Racine Symphony Orchestra, the Concord Chamber Orchestra, Swing Nouveau, The Eastside Jazz Orchestra, The Little Lake Stompers and Swing Chevron. As an educator, Paul holds a position on the percussion faculty at Cardinal Stritch University, privately at Brass Bell Music Store and as a clinician for area schools. In addition to working with students and maintaining a busy freelance performing schedule, Westfahl leads and composes for several of his own projects and is also involved as a sideman and co-conspirator/performer/composer with many ‘new music’ ensembles and collectives in the Milwaukee area such as the SeedSounds series and the DIY Chamber Orchestra and UnrehearsedMKE. Since 2014, Paul has dedicated himself to studying tabla along with South Indian rhythm and is a disciple of Pandit Hindole Majumdar. "I take special care and time to find the 'spark' in each of my students. Yes, on the surface I'm teaching them to play the drums but above all I want them to learn the tools to make MUSIC in whatever way comes naturally to THEM. To achieve anything and progress as a musician, it absolutely can not be treated as a 'once-a-week-for-a-half-hour' endeavor. Commitment to a DAILY dose of applied practice-time with the instrument is required and expected for anyone taking lessons. I'm really a laid back guy I swear! However, when it comes to music, I treat with upmost seriousness." Anna holds a Bachelor's of Music Education from UW-Stevens Point. She has been teaching music in the Milwaukee area schools for the past five years and is excited to be joining the Brass Bell team! Anna has experience with students of all ages, from kindergartners to adults. She loves getting to know her students and their families, and is passionate about being a part of both their development as a musician and as a person of character. Anna has a wealth of knowledge around a variety of method books and teaching techniques. She offers lessons in both piano and cello and looks forward to meeting you soon! Jessica has been teaching piano lessons for 18 years after receiving an associates degree in music, emphasis on piano performance. While teaching she was a member of both the Fond du Lac Teachers Association and the Moraine Area Private Music Teachers Organization where her students consistently received the highest ratings in judged events. Jessica teaches students of all ages and levels of playing ability. She helps her students reach their own goals whether they are interested in learning classical or modern styles of music, or learning improvisation and beginning composition. She teaches strong fundamentals such as sight-reading, ear-training, and efficient practicing methods so that her students become independent learners. 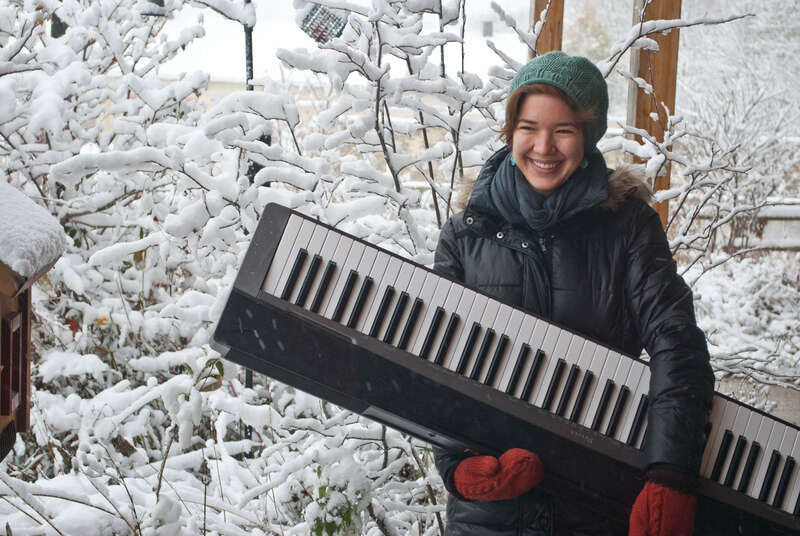 In her free time she has performed as keyboardist and vocalist in local rock bands, sang in choirs, and performed in community musical theater. She teaches her students to play with artistry and beauty. She enjoys connecting with her students personally and instilling in them a passion for the creativity and beauty in music. 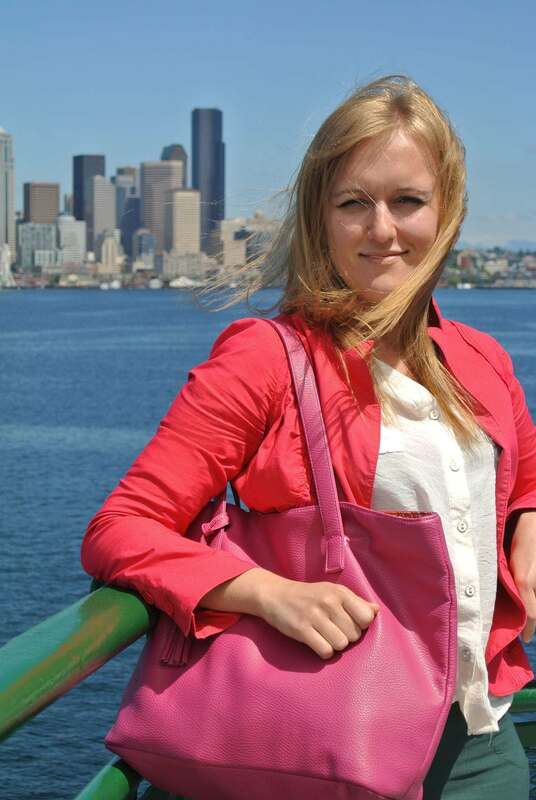 Julia received her Bachelor of Music and Teacher of Music in Music Education from Russian A.I. Herzen State Pedagogical University in St. Petersburg, Russia. She then received her Master of Music and Artist Diploma in Piano Performance from Duquesne University in Pittsburgh. She has been with Brass Bell since 2010 but has been teaching privately since 1993. Julia teaches beginning through advanced levels to students age 4 and older. She considers herself easygoing and is flexible when students want to pursue specific interests. 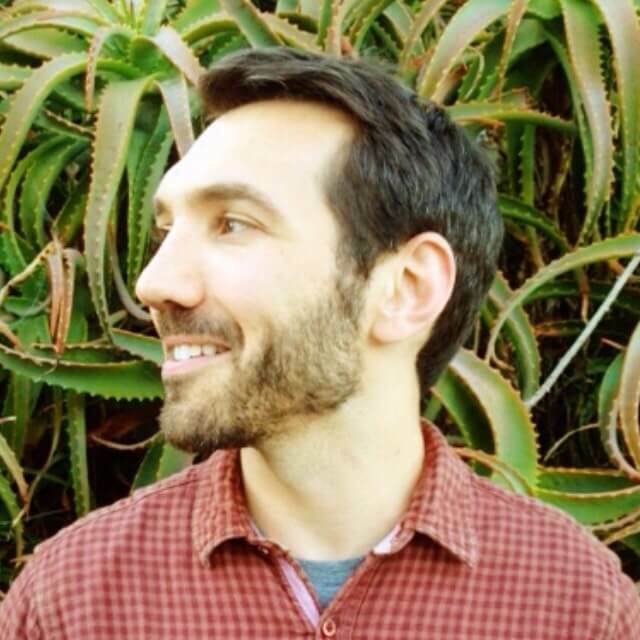 Ben Kalb is a cellist, composer, teacher, and multi-instrumentalist originally from New York. After completing his Master's degree in cello at SUNY Purchase in 2005, Ben performed and collaborated with many singer-songwriters including Duncan Sheik, Regina Spektor, and Ingrid Michaelson, and was a band member in two Broadway rock musicals (Spring Awakening and Next To Normal). He has been teaching music for over 10 years to students of all ages and skill levels. He is excited to be teaching both piano and cello. Joe is our fun, serious, positive piano tutor here at Brass Bell. He has been showing off his teaching talents for twenty-some years. Such bands as the Beatles and Miles Davis rock Joe's world: he loves music! He also has a pet dog, a long coat Akita, by the moniker of "Kijo Kuma," which translates to "Lady Dear." Alicia Rytlewski has studied piano since she was seven years old. When she began taking lessons with Rose Collier in high school, Alicia decided she would pursue music in college. 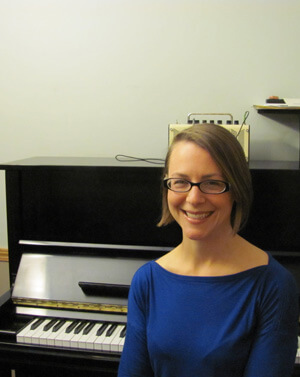 She received her degree in music performance at Ripon College and has taught piano professionally since 2011. 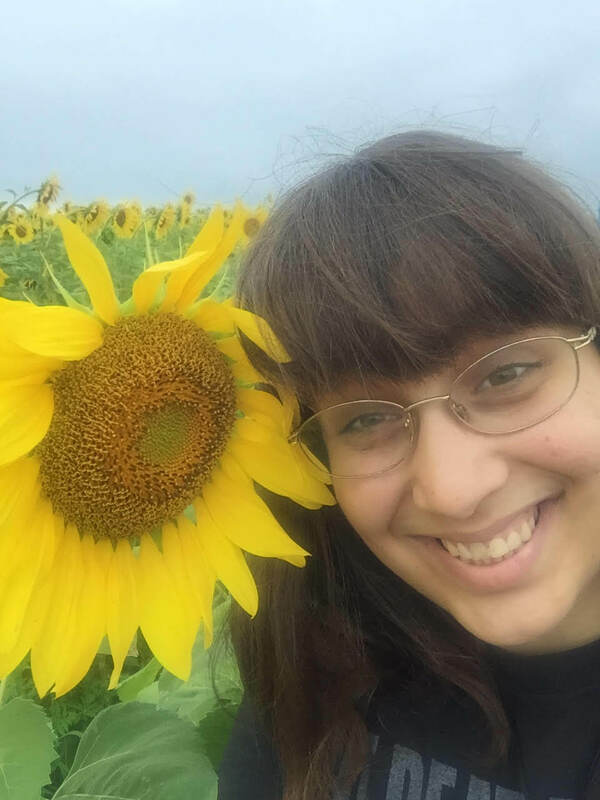 Alicia believes in well-rounded piano instruction and emphasizes performance as well as composition, theory, ear training, and improvisation, individualizing lessons according to the student’s interests, age, and abilities. Her ultimate goal is to inspire her students to discover true bliss in the love of music and the joy of self-expression. 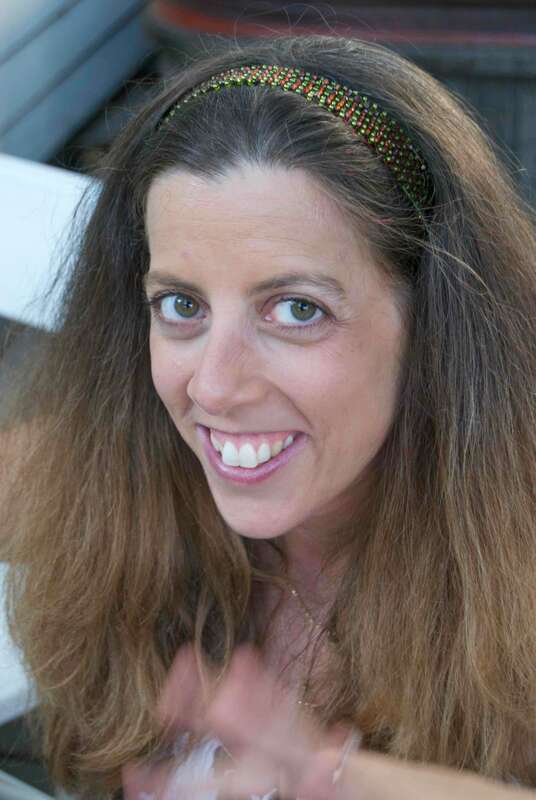 She has extensive experience collaborating with classical artists as well as musical theater programs and music camps, including summer music camp at Interlochen Center for the Arts. In addition to teaching, she performs organ music and directs a local church choir. Her interests outside of music include organic farming, yoga, and cooking. Kathy teaches beginning through advanced piano to students age 5 and up. 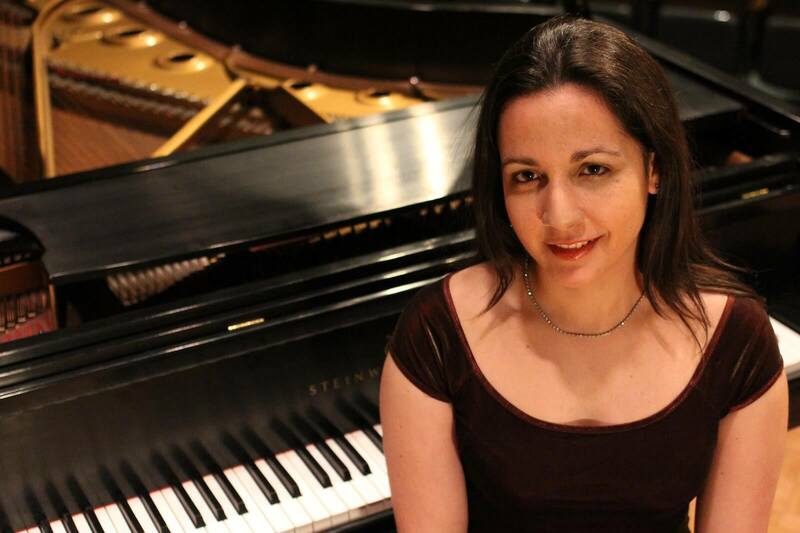 Inquire in store for more info on Katherine P.
Maria Valentina Delgado has been teaching since 2001 and has been a member of the piano faculty at the Wisconsin Conservatory of Music since 2010. Maria has multiple levels of teaching experience from beginners to University level. She has taught individual and group lessons at UWM as a Lecturer. At 11 years old Maria debuted as a soloist with the Caracas Municipal Symphony Orchestra and performed with all the major Symphony orchestras and theaters throughout Venezuela. She participated in the Milwaukee Chamber Music Festival, and the Institute of Chamber Music at UWM and has performed in various locations throughout Milwaukee and the rest of Wisconsin. She won first prize in three piano competitions: the “Harriet Serr” Competition in 1994, the “Moisés Moleiro” National Competitions in 1996 and McDowell Club of Milwaukee in 2005. In 1997 the President of Venezuela, Dr. Rafael Caldera, awarded her the Medal of the Third Grade Order “Jose Felix Rivas Prize” highest honor to a Venezuelan young artist due to her artistic merits and contributions to her country. Maria received her Piano Performance degree from the “Escuela de Musica Manuel A. Lopez” in Venezuela. She came to the United States under a full scholarship for her Bachelors and Master's degrees in Music / Piano Performance at the University of Wisconsin-Milwaukee under the guidance of Prof. Judit Jaimes. I believe that learning an instrument is a process that goes with dedication, perseverance, commitment and patience. People are unique individuals and as so, they will learn at their own rate to fulfill their own potential. I think whether it is a hobby or a career, the basics of a proper technique, theory and correct practice habits are very important for all ages and all levels. They give the tools to be able to translate notes into sounds and feelings to get the complete experience of what music is about. I also believe that students have to love and enjoy music and have fun with the process of learning, without these there is no improvement. Michel Shestak received her bachelor’s degree in Piano Performance from Viterbo University in La Crosse, Wisconsin where she studied with Dr. Timothy Schorr. She completed her master’s degree in Collaborative Piano-Vocal at the University of Wisconsin-Milwaukee. Her teachers included Jeffry Peterson, Katja Phillabaum, Elena Abend, and Judit Jaimes. She is active as an accompanist in the greater Milwaukee area and current organ scholar at the Cathedral Church of All Saints. Renato studied classical music at Northwestern University, graduating in 1993. He continues to perform as a wedding pianist and as a keyboardist in pop and rock groups. His teaching style is quite traditional: there is an emphasis on rhythm and note-reading. Older and adult students are introduced to chord formation and harmony. Renato holds two piano recitals a year and encourages his students to participate in the Wisconsin Federation of Music Spring Music Festival. He also teaches at the University of Wisconsin-Milwaukee, where he is a faculty member in the Film Department. Joanna teaches beginning through advanced piano to students 5 and up. Lessons focus on practice habits, technique, and of course, musicality. While method book work is important, Joanna believes that the integration of outside repertoire is vital in the musical growth of a student. There will be a recital once a year in which the students are strongly encouraged to participate. Currently, Joanna is working towards her BFA in Piano Performance at UWM under Profesor Elena Abend. Past training includes three years at the Wisconsin Conservatory of Music under María Schlei. Recently, she has taught, accompanied, and performed as a soloist and chamber group member. Though her experience is largely in the classical genre, she does have limited experience in gospel and jazz. Piano has been the one of the most wonderful parts of her life and she is excited to pass this on to her students. I am proud to be a new member of the Brass Bell team. I have been teaching classroom music and private piano for over 20 years. I currently am teaching middle school music with Milwaukee Public Schools. My greatest inspiration have been the teachers I have had throughout my life. They have shaped the way I understand and appreciate all types of music. I hope to be an inspiration to my students, and instill in them a love for music. I enjoy working with all of my students, and I learn so much from them every time we work together. I love teaching piano, and cannot imagine a day without playing. When I am not teaching, I enjoy watching movies with my family, trying out new recipes, and reading. Born in Ukraine, Iuliia has been playing the violin since the age of six. After graduating from the Lviv National Music Academy where she received her Bachelor and Master degrees in violin performance, Iuliia performed with the Lviv International Symphony Orchestra (INSO-Lviv) for five years. During that time she performed at numerous festivals in Switzerland, France, Portugal, Italy, Germany, Spain, and Poland. In 2013, Iuliia decided to pursue her musical training in the United States. She received an artist diploma in violin performance from the University of Tennessee in Knoxville with Professor Mark Zelmanovich in 2014. In 2015 and 2016 Iuliia performed in master classes with Rachel Barton Pine, Mimi Zweig, and Clara-Jumi Kang at UW-Milwaukee. She also served as the concertmaster of the UW-Milwaukee Symphony Orchestra for three consecutive years. Iuliia holds a master's degree in Chamber Music Performance from UW-Milwaukee, where she studied under Dr. Bernard Zinck. As a teaching assistant, she was teaching violin to undergraduates of the UWM violin studio. As a violin instructor, Iuliia uses different teaching methods and studies such as Suzuki, Franco-Belgium School, Russian School (Yankelevich), and Czech School (Ševčík and Schradieck). Her goal as a music teacher is to share music knowledge with all of her students and their parents. Iuliia’s diverse background as a musician gives an opportunity to students not only to learn about violin performance, but to have a full understanding of music history and violin within its place. Currently Iuliia is working at Wauwatosa School of Music as a violin instructor and at Brass Bell Music Store in the education department. Jonathan Brodie studied modern violin and viola with Abraham Chavez at the University of Colorado and Robert Emile at the University of Nebraska. He also holds a teaching certificate in instrumental music from the University of Wisconsin-Milwaukee. He has taught stringed instruments in the Whitefish Public Schools for the past 29 years and will retire from that position at the end of the 2017-18 school years. He has also taught for the Latino Arts String Program and maintains a private teaching studio. Orchestral paying has been with the Lincoln Symphony, Omaha Symphony, Milwaukee Civic Orchestra , and the Waukesha Symphony. 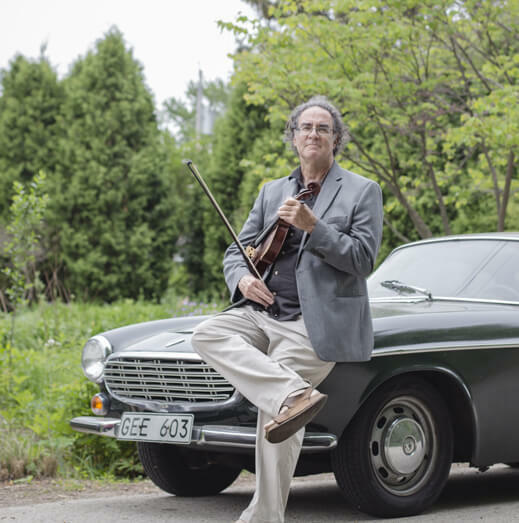 More recently, he has played baroque violin, viola, and viola da gamba with Shakespeare’s Band, Ensemble Musical Offering, The King’s Musique (under the aegis of the Milwaukee Symphony Orchestra’s ACE program) and the Klezmer-folk band, the Chai Guys. To honor his life-long affection for cowboy music, he is now playing fiddle for Mike’s Country Classics and working hard to get better at his mandolin chops. Born in Chicago, Rachel CW Hecker began Suzuki violin lessons at age 4 with Rebecca McFaul. At the age of 11 she moved with her family to Indiana, and continued studies at the Western Springs School of Talent Education with Edward Krietman and Thomas Wermuth. While at W.S.S.T.E., Rachel was involved in the violin groups Allegro! and the Chicago Consort, touring in Minnesota, Indiana, England and France. In order to travel the three hours to her violin lessons at W.S.S.T.E., Rachel was homeschooled until she was 16, when she entered public school in rural Indiana and began studies with Andrew Smith at Valparaiso University. As a child, each summer Rachel attended the American Suzuki Institute held in Steven’s Point, Wisconsin. While there, she worked with Timothy Durbin, Betsy Stuen-Walker, Mark Bjork, and Sarah Smith, just to name a few. Rachel also attended the Stamford International Music Festival in Stamford, England, Masterworks Festival in Winona Lake, IN, Credo Chamber Music Camp in Oberlin, OH, and ARIA International Music Festival in Muncie, IN. She was also very active in the Northwest Indiana Symphony Youth Orchestra from 2002-2006, holding the concertmaster position from 2005-2006. Miss Rachel received a Bachelor of Music in Violin Performance from Utah State University in 2006, studying with Rebecca McFaul and the Fry Street Quartet. 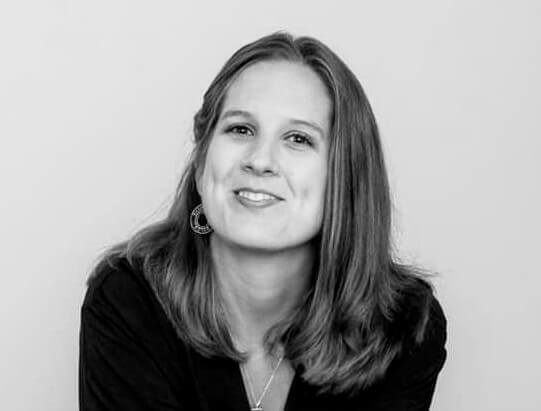 Rachel completed her Master of Music degree in Violin Performance and Pedagogy in 2012 from the University of Colorado at Boulder, and worked as a graduate teaching assistant and student to Oswald Lehnert and Margaret Soper Gutierrez, and was also a student to Charles Wetherbee. She has completed Suzuki training with Judy Weigert Bossuat in ECC and Book 1, and Books 2 and 3 with Mr. William Starr. Rachel’s teaching philosophy is that musical lessons teach dedication, persistence, and determination, while learning a skill that can bring joy to oneself and others. Rachel is constantly teaching her students to look for the most efficient and effective ways to practice, and to have fun in the process! Rachel has been teaching both privately and in schools since 2007. When not teaching, Rachel enjoys being outdoors, traveling, drinking lots of tea, reading, and learning how to homestead. Dana is from Highland Park, Illinois and began playing the violin at age 4 and the viola at age 17. 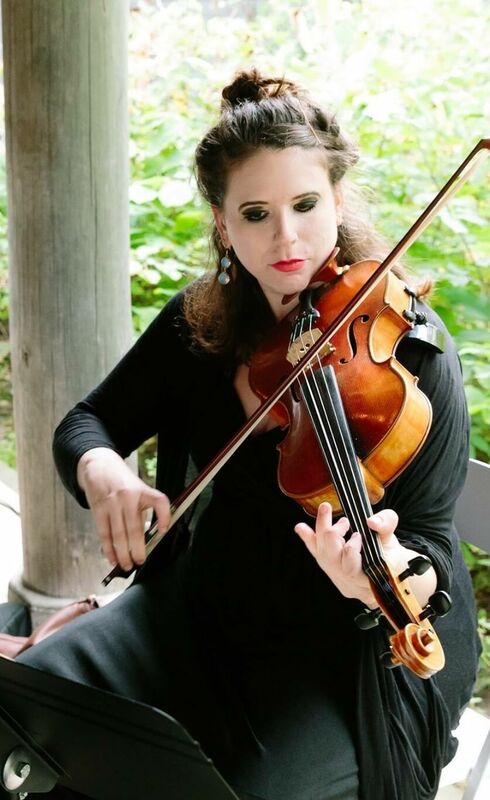 She has a Bachelors of Music in Viola Performance and a Bachelors of Arts in English from Lawrence University and is currently a Masters of String Pedagogy student at UW-Milwaukee. She has attended such festivals as Interlochen, College Light Opera Company and Aspen Music Festival, and is currently a violist with the Sheboygan Symphony Orchestra. Austin is a lifelong musician and learner who moved to Milwaukee late in 2018 and joined the Brass Bell family shortly after. He gained a Bachelor’s in Music Education from Missouri State University, immediately following it with a Master’s of Music degree, emphasized in instrumental conducting, from the University of Arkansas. Austin’s primary instrument is bassoon, and he performed regularly throughout both of his degrees in wind ensembles, symphony orchestras, chamber groups, and solo competitions. After his tenure in college, Austin became a band director in northwest Arkansas, where he taught for three years before moving to Wisconsin. As a band director, Austin taught regular private lessons to his students on bassoon, oboe, clarinet, saxophone, trumpet, and baritone. On top of being very familiar with woodwind instruments, Austin also marched tuba with Phantom Regiment Drum and Bugle Corps for two summers while in college, and has been teaching brass with Shadow Drum and Bugle Corps based out of Oregon, WI, for the last four summers. A well-rounded and passionate music educator, Austin is excited to continue to share music with others at Brass Bell! David Collins is a Milwaukee-based performer, educator, sound artist and composer. 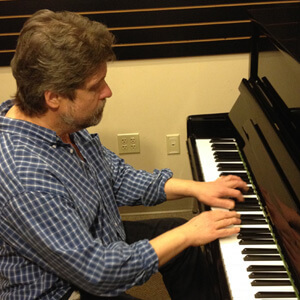 In 1998, under the instruction of Berkeley Fudge, Mark Davis and Don Linke, David completed the Jazz Studies Program at the Wisconsin Conservatory of Music. That same year, he began teaching private saxophone lessons and continued to do so till completing his BFA in Composition & Technology in 2009 from the University of Wisconsin-Milwaukee. David is back at Brass Bell Music to teach saxophone lessons and ensure that music eventually takes over the world! As a private music teacher, David recognizes all students as individuals and understands that each one brings their unique intent, level of commitment and personal interest. Understanding what attracts each student to music-making, is a part of balancing the challenge of learning an instrument, setting attainable goals and inspiring the student to pursue them with patience, purpose and of course, enjoyment. Learning an instrument can be challenging, but findings one’s personal joy in that process is very important. David draws on both his improvisational and arrangement/score experience to teach students technique, fundamentals, theory, and the most important part of an aural art form, using our ears. Multi-instrumentalist Tomás Goldsmith has been teaching at Brass Bell Music for over two years. Although his main instrument is tenor saxophone, he has years of experience performing on clarinet and flute. He has put his skills to use as a leader, soloist, and sideman while performing with artists and groups such as Curt Hanrahan, Perspective Heights, Arturo O’Farrill, Jon Faddis, David Bixler, the UW-Milwaukee Symphony Band and Jazz Ensemble, various UW-Milwaukee jazz combos, and for several musical theater productions. As a private lesson instructor, Tomás cares deeply about sharing the joy of music with his students. Therefore, his lesson style balances what the student is interested in with striving for great technique and fundamentals, a beautiful sound, and always taking a musical approach to practicing and playing. Tomás’ experience in a wide variety of fields, such as classical solo, chamber music, wind ensemble, jazz, latin, funk, rock, musical theater, and theory and composition, means he can teach any style while emphasizing a well-rounded approach, offering complete musicianship. Tomás Goldsmith holds a degree in Multiple Woodwinds Performance (BFA) and a degree in Jazz Studies with a focus on Tenor Saxophone Performance (BFA), both from the University of Wisconsin Milwaukee. Tomás Goldsmith also works as the Inventory Manager for Brass Bell Music Store. Outside of music, Tomás is an excellent volleyball player, having won multiple national championships, professional tournaments, and having played across the US and in Serbia. Jon earned his Bachelor of Fine Arts degree in Multiple Woodwind Performance and Music Education from UW-Milwaukee in May 2011. He is certified in Wisconsin to teach Instrumental and General Music. Jon has a great deal of teaching experience in private and school settings, and has been with Brass Bell since September 2011. He teaches beginning through advanced saxophone, clarinet and flute to students age 9 and older. He believes strongly in musical literacy and listening skills, and develops different teaching plans to accommodate students' specific needs. He describes himself as patient, knowledgeable and enthusiastic. Mike fell in love with the tenor sax in middle school and has been playing it ever since. He toured the northeast with the 19th Army Band, with such luminaries as Grover Washington, Jr. and Billy Cobham. Around that time he studied in NYC with jazz great Joe Henderson. Mike considers it great good fortune to have worked with such legendary local groups as Junior and The Classics, The Esquires, and Vic Pitts and The Cheaters. From there, Mike went on the road with many groups, including Jackie Wilson. While performing with Motown recording artist Chuck Jackson, he played shows with Gladys Knight, David Ruffin and Dianna Ross and The Supremes. Mike's travels have taken him to Germany, Paris, India, Miami Beach, and Myrtle Beach, where he met and became friends with soon-to-be-stellar bass player Steve Bailey. Along the way he added flute, clarinet and all the other saxophones to the list of his instruments for performing and teaching. At North Texas State University he studied with James Ogilvie and Denis Diamond. Besides currently playing with the super talented people in The Mike Miller Group, he teaches privately at Brass Bell Music (since 1994) and in the Milwaukee Public Schools as a traveling music teacher, and co-conducted two Milwaukee Biennial Music Festivals.